More precisely, we will build a product review site using the platform we so love and cherish. That’s because there are different types of affiliate sites as we will see in a moment. We will arm you; give you every tool and resource you need to transmute your dream into reality. You will make money with your affiliate site, provided you’re prepared to put in the effort required. Of course, you can’t get something for nothing. So wow us in the comment section at the end. That out of the way, grab your seatbelt, it’s pedal to the metal all the way. You can follow a number of paths with your WordPress-based affiliate business. Although I will try to keep this post general, this section intends to help you in choosing the best affiliate website for you. Here we go. A large part of the work revolves around collecting deals from businesses and manufacturers who can provide huge discounts that incentivize users to buy stuff they don’t even need. You can get anywhere between 30% and 50% of every sale you push through. Good examples include Groupon, and Living Social among others. An easy way to get your coupon site up and running asap is with a pre-styled coupon theme like the Kupon WordPress theme. This theme has everything you need for your daily deals site like front-end deals submission, easy theme options, coupon countdown, social integration and more. If you already have a theme you love, then a plugin may be your best bet. Add coupons for your WooCommerce store with the WooCommerce Coupons Countdown WordPress plugin. It’s a quick and easy way to add custom coupons to any WooCommerce e-commerce website. Want to start with a free option? Magic WP Coupons Lite is a free WordPress plugin that gives you the ability to add basic coupons with a click counter system, likes & dislikes and the option to upload new coupon templates. 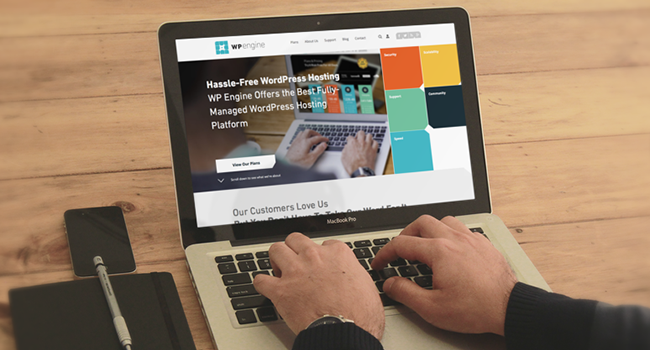 Add your reviews (and affiliate links) using the Price Compare WordPress Theme. It is a great option for sharing your favorite products and services with your readers using easy to read comparison tables with logos, dates, prices, and more. The Go Responsive Pricing & Compare WordPress Plugin is perfect for creating comparison tables for just about anything. Add images, videos, features lists, icons and tons more to help your readers decide which option is best for them. Pricing tables area great way to compare & contrast similar offers (like hosting or theme packages). If the two premium options aren’t in your budget, the WooCommerce Compare Products free WordPress plugin is an easy way to add product comparisons to your WooCommerce store. The Review WordPress theme is a stylish review magazine theme with easy review options for readers to leave their ratings in addition to yours. This way visitors to your site can be confident in the ratings, and hopefully click on those affiliate links. If you want to add reviews to your current site, then checkout the Taqyeem Ratings & Reviews WordPress plugin. There is seemingly nothing this ratings plugin can’t do with its unlimited colors, unlimited review criteria, custom fonts and multiple review styles. An awesome free option is the WP Product Review free WordPress plugin which comes with solid options for a free plugin. You can add custom review icons, customizable colors, pro & con capabilities and even a pre-loader functionality. If you’d like to create an affiliate program instead, you know, to promote your products, check out how to create an affiliate program using WordPress by Nathan B. Weller (link redirects to Elegant Themes). Obviously, WordPress is beautiful, but there are many other reasons why even the big brands use and love this CMS. We will just touch on some of the reasons why you should use WordPress to power your affiliate website. WordPress is search engine friendly, built on clean code and following the best web standards – all meant to entice search engines. I mean, Google and the likes love WordPress blogs, and if you can integrate a blog section to your review site, you can easily score better rankings and boost conversions. A valuable blog will also foster user trust, exactly the quality you need to keep the commissions going up, up and up. You can bolster your SEO further by submitting your site to Google and using plugins such Yoast SEO. Using widgets, you can easily integrate ads into your WordPress-based affiliate site maximizing your earning potential. Just paste the ads HTML code into the Text widget and place it wherever depending on your theme. Some themes have specialized ad areas in the header among other places. Few (if any) content management systems can compare to WordPress in terms of community. WordPress has a great community around it. This community is a great source of free and upbeat support you’ll need as you build your affiliate business. From bloggers, consultants, fellow contributors, developers, and experts among others, you’ll have the best support you can ever dream of. That done with, let’s build you an affiliate website using WordPress. First things first, what will you need? A domain name (durr) – Make it short (3 words max) and memorable. Think big, and deep into the future. Make it snappy if you can, just don’t go overboard. Get creative and when you’re ready, I buy all my domains from Namecheap. Great WordPress theme – Go wtih a versatile, preferably multi-purpose theme that will make your reviews stand out. If you’re thinking Total Responsive Multi-Purpose WordPress theme, you are on the right path. Niche – Choose a nice you’re passionate about or knowledgeable in. You’ll spend a lot of time working in this niche so it better be pleasurable. You’ll promote products in this niche, and the guys you’ll be selling to appreciate some passion. Now that we have the requisites covered, let’s actually build that affiliate site we’ve been blabbering about since the first paragraph. Let’s begin with the most obvious point. Setting up an affiliate site is just like setting up a typical WordPress site. Since you need your users to trust your reviews so you can keep earning them commissions, you have to put a little thought and time into your product review site. You simply can’t slap together a site haphazardly and expect to win. That aside, setting up your review site involves choosing the right WordPress hosting, installing as well as configuring WordPress, themes and plugins. As simple as A, B, C.
Installing WordPress is easy peasy work; many web hosts offer one-click installers that make your job a bliss. Go ahead and purchase bonafide hosting from our well-curated list of web hosts and install WordPress on your domain. Add a theme (such as Total or a free one such as Hueman) and set up your plugins (more about this in a moment). If your heart is in it, there’s nothing wrong with promoting dirt-cheap products. The only downside is you’ll have to convert a lot more people to make a sizeable income from your affiliate venture. Think of it, if you’re getting 10% of every $10 sale you make, you’ll need to convert 1000 people to make $1,000 a month. If, on the other hand, you get 10% of every $1000 sale, you’ll need only 10 conversions to make $1,000 per month. See where I’m going with this? Same case goes for the affiliate partners aka programs you go for. I will shun an affiliate program that offers, say, 10% of every sale in favor of the guys offering 50% keeping all the other factors, including price, constant. Remember if you promote shoddy products just to milk a commission out of your users, your brand image will suffer the brunt of your insolence. You’ll be out of a business faster than you can build one. Still on this passion and content business, the products you ultimately promote need to tie in with your content. You simply can’t talk about television sets and then turn around and promote fertilizer. That’s an abomination in the world of content marketing. Moving on, don’t ignore recurring commissions such subscriptions that pay commissions whenever the subscriber hits the renew button. They can be a great source of recurring passive income that requires little effort to set up. Content is, and you’ve probably heard this a million times before, king. You can market the hell out of your review site like Mad Men, but if you don’t have the kind of content that gets users clicking the links, and actually buying, you’re going nowhere. In how to drive more traffic to your WordPress site, we discussed why high quality is of crucial importance. Whether you’re writing reviews or blog posts, your content needs to be of highest caliber – or at least better than your competitor’s. You should look to add value to the user’s decision making process. Your content should provide all the answers the reader needs to make a purchase. Look at what your competition is doing, and go a mile further. Your affiliate site should be the last resource the buyer visits before spending the green. Pro Tip: Quality (valuable, relevant, fresh) content will instill trust in your readers. Overall, you should endeavor to publish professionally presented reviews. Push put quality content consistently. Oh by the way, don’t forget to put all these details in your business plan. Sorry I didn’t mention this earlier. You need a business plan; every business needs a strategy. Even with the best plan, you will need to remain flexible and adapt accordingly as you build your WordPress affiliate business. You evolve continually before striking gold. Before you find the perfect formula, you’ll need to change tactics and strategies a couple of times. It’s inevitable. As such, you need to monitor and manage your site’s performance. You need to experiment with different types of content and eliminate the products that perform poorly. Tools such as Kissmetrics and Google Analytics among others offer you a lot of insight into your business. Goodbye Captcha – Catch spam bots automatically before they soil your reviews. No irritating captcha too! Total WordPress theme, Bloggit (seen in the featured image), The Review, etc. Building a profitable WordPress affiliate site takes time and effort, so don’t expect to make a killing overnight. This is not a get-rich-quick scheme, it’s a venture that will benefit from all the business acumen you possess. Both are great plugins, but WP Rich Snippets can get quite expensive when you add on all of the add-ons 😉 AffiliateWP is awesome (we did a review on it a while back) but it’s for building your own affiliate program, in this post we were focusing more on the affiliates who are joining those programs which is why you didn’t see it up there. hi …i want to start affilated site …but my question is how many products i can put in my site….for example — if i create 1 post for every affilated product …thn my question is ….how many products allowed to put in my site posts…? hi I am using Amazon affiliate marketing these tips of your will help me in making money. thanks.. The “Add Plenty of High Quality Content” Is irrelevant to the first 2 options, site price comparisons and coupons site, is not it? Can complement each other? Is this what you intended? I want to build a joint reviews with price comparisons, based affiliate program. Regarding your second comment…Comments are not automatically published every comment is moderated by our staff to prevent spam. To be honest I am not 100% sure if the theme and plugin are 100% compatible it’s best if you can ask the theme and plugin developers because they can give you the best answer. I bought first the comparison theme……there is no support thee and no even a guide….bought domain name+host at siteground then bought the theme…upload it…..so first thanks. second they do need give any support….the theme author….nothing. i need to know how do I connect and feed thre the affiliate program…etc…strange, nothing besides purchase confirmation. Great stuff. Like anything the key is to be consistent. As soon as we set out to do something new the challenges will arrive. Stick with this career and the other side is beautiful! I’m for the first time on this blog and I’m a beginner in site building. Is it really possible to use some free website builders to make a real web business? Or it’s better to buy a programme to be sure for the better result without any problems with database or smth like this? The article is updated that part i love most in article it contains latest tools which can be implemented. Most articles one read are not updated and usually provide old information on particular topic. Hi, great article, is it possible to set up a affiliate comparison website and compare products? Thanks for sharing such a nice post. But what will be your advice if it is an affiliate site of lots of different products. Will wordpress be able to bear such a huge load? WordPress is very capable, just be sure to invest in good hosting especially if your site is going to have a ton of products. Really love this blog. Keeping me on this affiliate path especially w WordPress.